In preparing a will, parents often spend a lot of time planning how their children will be taken care of after the parent’s death. 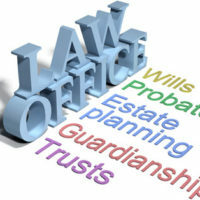 In many cases, the parents arrange for property that will pass to the children to be placed in a trust with a trustee in charge for the children’s benefit. However, another important decision that parents have to make is who would be guardian over the children and physically care for them after the parents’ deaths. Naming a guardian is not a guarantee that the person will be the one who ends up taking care of the children, however, a guardian named by the parents is more likely to be appointed as the children’s guardian by a court. Ultimately, the court looks to the best interests of the child in deciding if the parents have selected a suitable guardian. Some issues to consider are the proposed guardian’s health and the person’s ability to adequately care for the children. For example, while grandparents may be a natural choice for many parents to name as guardians, if the children are young, the grandparents may not be physically able to care for the children. But a younger person who has severe health issues may also not be accepted as a guardian if the health issues would interfere with the person’s ability to care for the child. The court will consider many different factors to determine whether the parents’ named guardian is a suitable fit. In addition to naming a guardian for the children, the parents can also appoint a guardian for the property that the children will receive. The court can also appoint a guardian for property that is not passed on through a trust if no guardian is named in the parents’ will. The parents’ can name the same person as a guardian over the children and the children’s property, as well as to serve as trustee over the children’s trust. The decision to name the same person or several people to serve in these different roles should be made in consultation with an experienced attorney. A guardian generally only takes on the job after the death of the last surviving parent. Therefore, if one of the children’s parents is still alive and has not had his or her parental rights terminated or otherwise been declared unfit to care for the children. If there is a surviving parent, the parent would not automatically be named guardian over the children’s inherited property, and any named trustee to a trust would still serve in that role. The surviving parent can advocate for the children to receive distributions from the trust, but would not have access or control of the trust unless that parent is the named trustee. Making decisions about who takes care of your children after your death can be very difficult. This can be both an emotional and a legal decision. To learn more about the legal considerations when naming a guardian or trustee to care for your children, call an experienced estate planning attorney from the Millhorn Elder Law Planning Group located in The Villages, Florida.